The Aether Foundation is a large group of people in the Alola Region. Their goal is to take care of Pokémon who have been hurt and so created the artificial island of the Alola Region, the Aether Paradise. Here, various Pokémon will be allowed to take refuge from Team Skull's antics. The Aether Foundation are largely a passive presence through the game, but there are several notable exceptions. The first view of the Aether Foundation is in the opening cutscene where it shows Lillie running from various Aether Foundation employees and Ultra Recon Squad Members after taking Cosmog. It ends with Cosmog creating a portal for it and Lillie to escape. 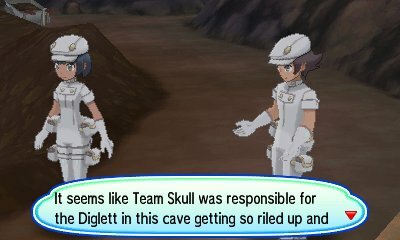 Your next active encounter with the Aether Foundation is in Diglett's Tunnel. When travelling through there, you will encounter two employees who will greet you. They will inform you that Team Skull had been riling up Pokémon in the area and that Team Skull often interfere with Pokémon. 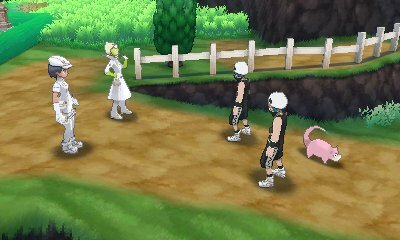 When you get to Memorial Hill later in the game, you will encounter an Aether Foundation employee and their boss arguing with Team Skull over a Slowpoke. The Aether admin requests that you fight in his stead to stop Team Skull from taking the tail from the Slowpoke. If you do, they suggest going the Hano Grand Resort hotel so you can talk to him. When you reach the Hano Grand Resort, you will meet the Aether admin you helped in Memorial Hill. 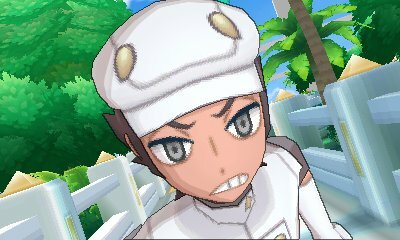 He will introduce himself as Faba and will offer an invite for you to go visit the Aether Paradise, a special island created by the Aether Foundation in the middle of the Alola Region. 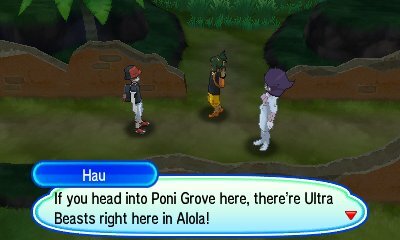 You, along with Hau, then go to the boat to go to the Aether Paradise! 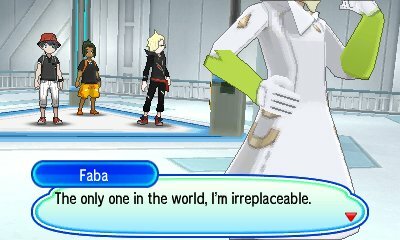 When you get on the boat to the Aether Paradise, Faba will show you around. He will note that there is a jamming signal in the Aether Paradise so that nobody can use Poké Balls and capture the Pokémon in the area. They want to create a safe haven for Pokémon where people such as Team Skull cannot get them. Faba then introduces you to Wicke, another of the Branch Admins, who takes you and Hau up to the special Conservation Area. 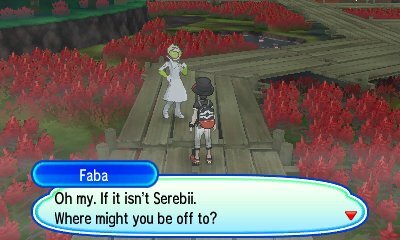 As you go through Ula'ula Meadow to confront Team Skull, you will bump into Faba who will question why you're there. He will note he's taking the initiative to check up on all the Pokémon and that he's been thinking of dealing with the Necrozma issue on their own and asks if you think his acts are worthy of being a president. The next encounter with the Aether Paradise comes much later in the game after Lillie has been kidnapped by Team Skull. 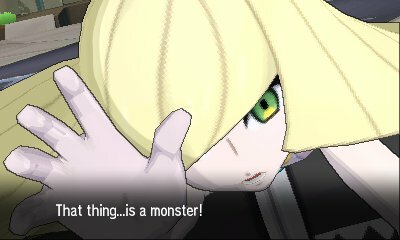 Gladion makes the connection and states that Lillie has been taken to the Aether Paradise and that you, he, and Hau must go there to rescue Lillie and stop their plan. When there, the Aether Foundation employees will now challenge you to battles as they have been given orders to stop anyone from going through. As you progress, you will learn that you can't go to the basement so you have to go up and try to get the key from Branch Chief Faba. Eventually, you go to the Secret Labs in the basement to get the information about Cosmog being an Ultra Beast, with the help of Wicke. As you battle through, you discover that Aether Foundation and Team Skull have in fact been working together, with Guzma there in order to help Lusamine achieve her goal. 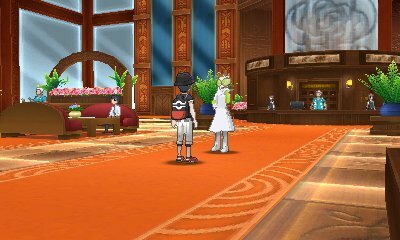 Once Guzma has been defeated, you, Gladion, and Hau are able to get into the main room where Lusamine is, with Lillie and Cosmog. 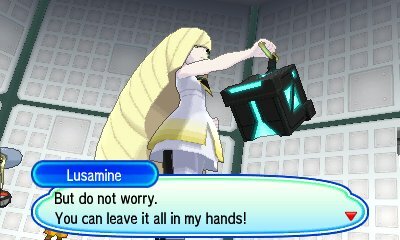 Lusamine intends to use Cosmog's energy to open an Ultra Wormhole to travel to Ultra Megalopolis in order to stop Necrozma herself so she can save Pokémon. Wormholes begin to open all across the Alola Region. Following this, Lusamine then challenges you to a battle. 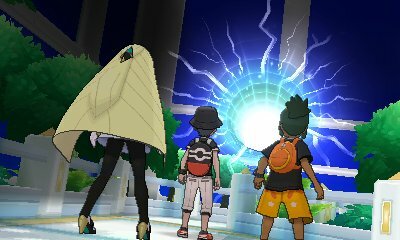 After defeating Lusamine, the wormhole will start to close and Lusamine goes in, with Guzma quickly following. After the wormhole is closed, it seems Cosmog has evolved into Cosmoem. The Ultra Recon Squad are angry that Lusamine left to save Necrozma just to fulfil her desires rather than to actually help them while Lillie is eager to find her mother and save her from Necrozma but Galdion & Wicke mention that perhaps the power of Solgaleo/Lunala can awaken Cosmoem and create a wormhole to get Lusamine back. Lillie changes her look and Gladion wishes you well on your journey by giving you the Moon Flute/Sun Flute. Once you have got the other flute from Exeggutor Island and made it to the Altar of the Sunne/Altar of the Moone, you awaken the powers of Solgaleo/Lunala and have Cosmoem evolve into it. As it goes to create an Ultra Wormhole, one opens already and Guzma & Lusamine fall out of it, followed quickly by Necrozma as their plan failed. Necrozma appears and takes over Solgaleo & Lunala, requiring you to go through the Ultra Wormhole to stop it. 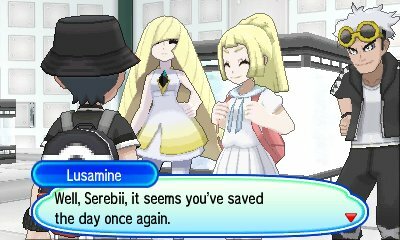 After defeating Necrozma, Lillie and Lusamine will return to the Aether Foundation. You'll briefly encounter Wicke of the Aether Foundation after the Ultra Recon Squad have called on you to help out with some Ultra Beasts causing havoc in Poni Grove. She will meet you in Ancient Poni Path and will offer you a Type: Null from Gladion, as Gladion has left to go to Kanto. She'll also give you Beast Balls that were developed with the Ultra Recon Squad and let you know that you can buy them in the Aether Paradise, where they are working with the Ultra Recon Squad to research Ultra Beasts. Shortly after Sophocles informs you of Festival Plaza being overrun, your mother will show a trick of her having taught Meowth how to turn on the TV. 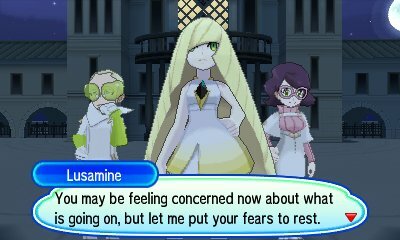 It will cut to a press conference where Lusamine and Wicke are explaining what happened during the Poni Island incident when Necrozma appeared. However, the press conference gets interrupted by an Ultra Wormhole opening and a Rocket Grunt running towards Lusamine, with Giovanni not far behind.